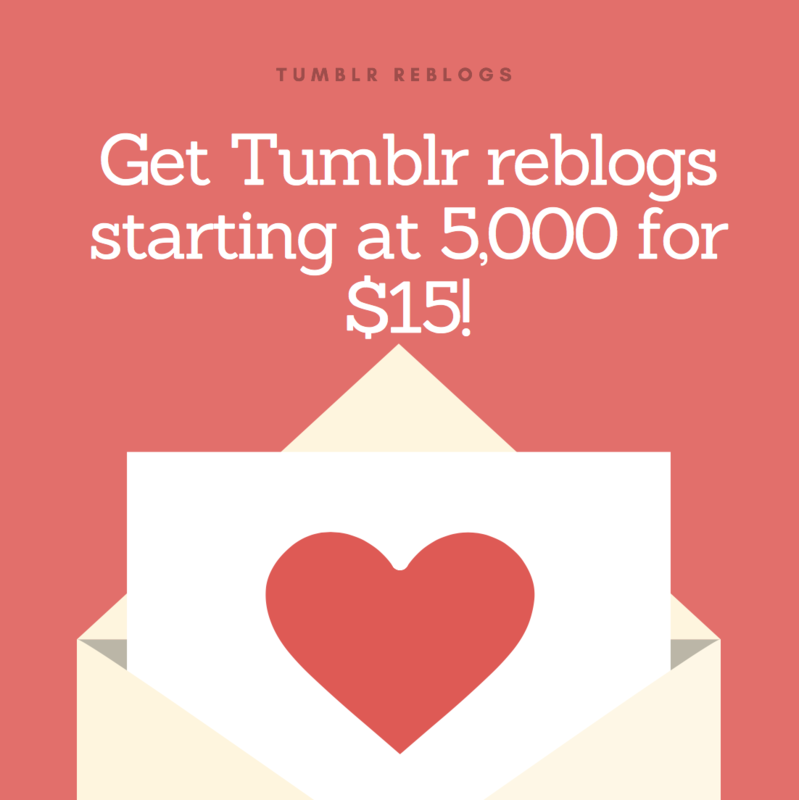 -We will sell you 100,000 Tumblr Reblogs over the course of 1 month, spread over your last 50 posts. Reblogs start within 24 hours and will occur on a drip feed over 30 days. The only requirement for this service is that you must have 50 or more posts on your account. -These 100,000 reblogs will certainly help you gain followers, but no amount of followers are guaranteed. -A 100% refund will be given if reblogs are not met in 30 days! Please provide us a rating and tell your friends if you enjoy our service! Thanks so much!